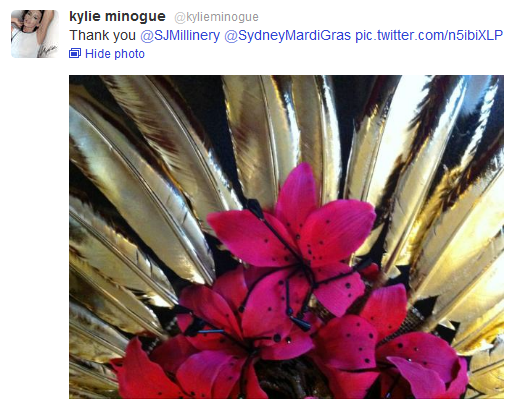 Live Learn Shine On: Kylie At Sydney Mardi Gras Parade! So finally - we've been so looking forward to seeing Kylie perform there!! Pictures from the Parade are in this post, and here you can find the best from the performance and video! Kylie, who has received an Order of the British Empire for services to music, was awarded another high honour last night when she became part of history at Mardi Gras. The Kylie tribute float became the festival's biggest float ever. Artistic director Gary Leeson said it had 127 participants surrounding four floats. She watched as the Kylie dancers put on a special performance in Taylor Square and then mingled with her fans and was presented with floral tributes. EXCLUSIVE Interview and Kylie watching the tribute to her at the Parade!!! And just count how many times this sweet person Thanks everyone!! And Kylie TWEETS her outfit by Pucci!!! 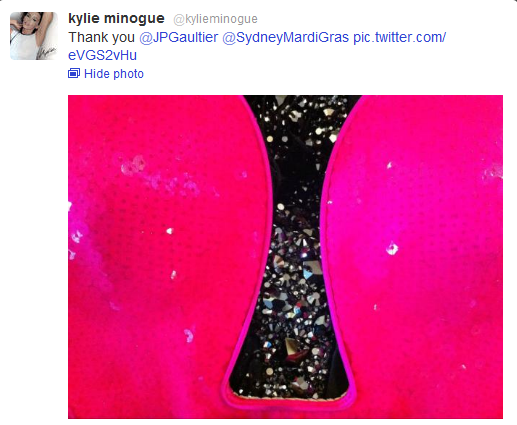 THANKS to Leo*Melbourne_NZ from SH for uploading the #K25 Kylie FLOATS for us!! !